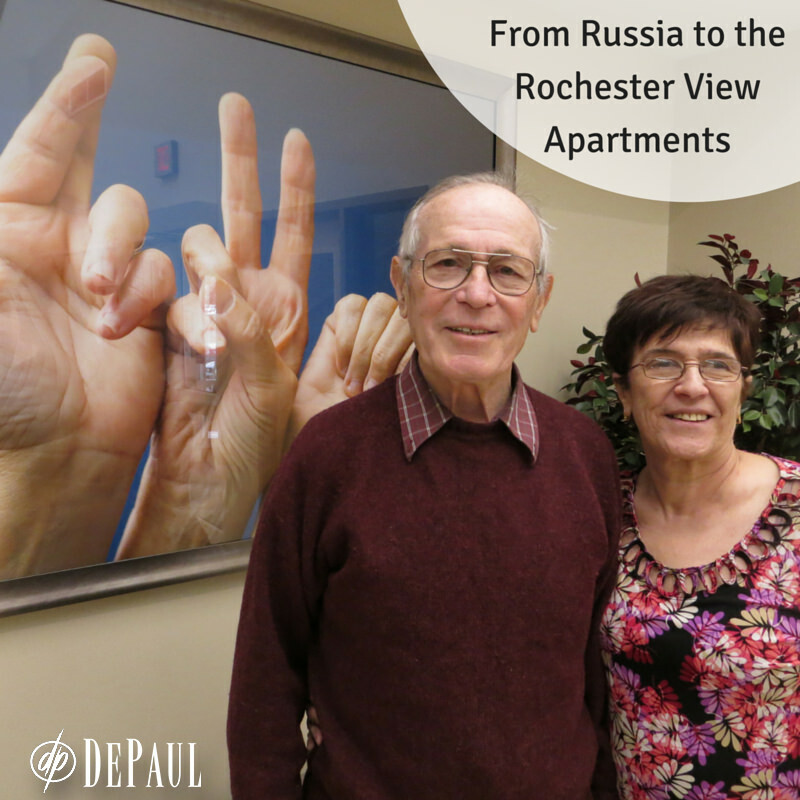 It’s been a long and sometimes bumpy road from Russia to Rochester but the Kipermans have finally found a place to call home at DePaul’s Rochester View Apartments in Henrietta, New York, which features enhanced supports to accommodate tenants who may be Deaf. Husband Yefim, 77 and wife Julia, 70, were both born Deaf. Yefim is originally from the Ukraine while Julia was born in Russia. Married for 44 years in October, Julia and Yefim have a daughter, Regina Kiperman-Kiselgof, who was also born Deaf. Julia has one older sister who was born Deaf, but otherwise both came from hearing families. Julia and Yefim attended schools for the Deaf in Russia and Ukraine. After graduating high school, Julia attended a liberal arts college for the Deaf in Russia while Yefim went on to a vocational school for tailoring. Creating garments and coats for men and women, Yefim earned a reputation as one of the best tailors in his area, and was often called upon by politicians and other military personnel when they would visit from outside the country. Julia spent 24 years as a quality inspector. In 1986, the catastrophic nuclear accident occurred in Chernobyl, about 140 miles from where they lived in Ukraine. The family was only able to acquire one plane ticket to fly Regina out of Ukraine and into St. Petersburg where she lived with her grandmother and relatives for months. In 1994, Julia, Yefim and Regina made the decision to move to Buffalo, New York where Julia’s mother, sister and brother-in-law had already settled. “It was really tough to give up what you’re used to in your country − the culture, your family, and I had a very good career that I had to give up to come here −but I decided it was for the good of my wife to be with her family and for the protection of my daughter,” said Yefim. The couple began learning ASL at St. Mary’s School for the Deaf in Buffalo. In 1995, Regina moved to Rochester to attend the Rochester Institute of Technology’s (RIT) National Technical Institute for the Deaf where she received her master’s degree in Career and Human Resource Development. Her parents soon followed, settling into another apartment program which was not well-suited to their needs. Regina, who is now married with two girls of her own, heard about DePaul’s Rochester View Apartments and encouraged her parents to check it out. But they are so glad they did! “We’re so thankful that our daughter supported us and encouraged us to go through the process to make this move happen,” said Julia. Regina, who now works full-time at nearby RIT, said she feels at ease knowing her parents’ needs are being met. Julia said they love their new home and their neighbors. 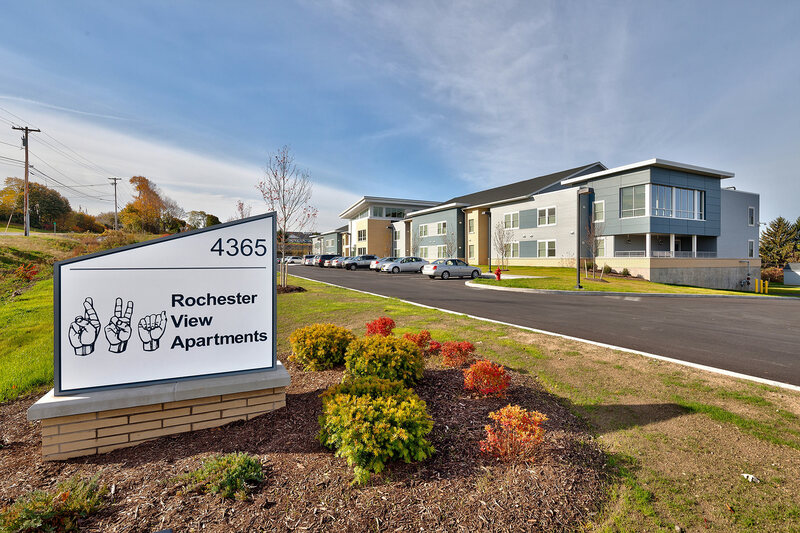 Learn more about DePaul’s Rochester View Apartments and our other affordable housing options in Rochester, Batavia and Buffalo, New York.